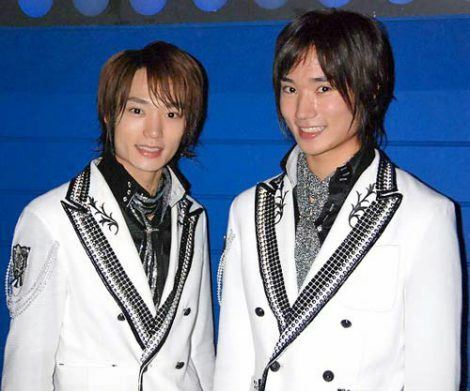 On August 19th, former Ya-Ya-yah member Yamashita Shoon and former Johnny's Jr. Yamashita Leon held an event titled, "SHOON commu'presents NO LIMIT in Puroland", at Sanrio Puroland.�This marked the revival of the brothers' activities after leaving their last agency. As Shoon got on stage, he shouted, "I'm back! ", and expressed his happiness with, "It is an amazing thing that we met." Leon also claimed, "I've gained a lot from the support of people around me. I'm happy I get to meet everyone today." They sang their original song, "NO LIMIT", before Shoon stated, "I want to be active with songs that will unite us with our fans. I also want to make a CD debut." At the end of the event, Shoon and Leon presented their 'guts pose' and said, "We want to become versatile, so we can work with all genres. We also want to act." The Yamamoto brothers are scheduled to attend the "DANCE STAGE PROJECT" event, which will also be held at Sanrio Puroland. Additionally, they will make an regular appearance as presenters on TVK's new variety show, "~Teen Age Garden~Kime! Shitsuji", starting October 14th at 9:00 PM. Chihara Minori unveils PV for "purest note ~Atatakai On"